New technology is changing the way contact centers and customers communicate. From WebRTC to SIP trunking, IP communications are redefining the enterprise communications landscape – improving customer experiences, increasing productivity and radically reducing costs. 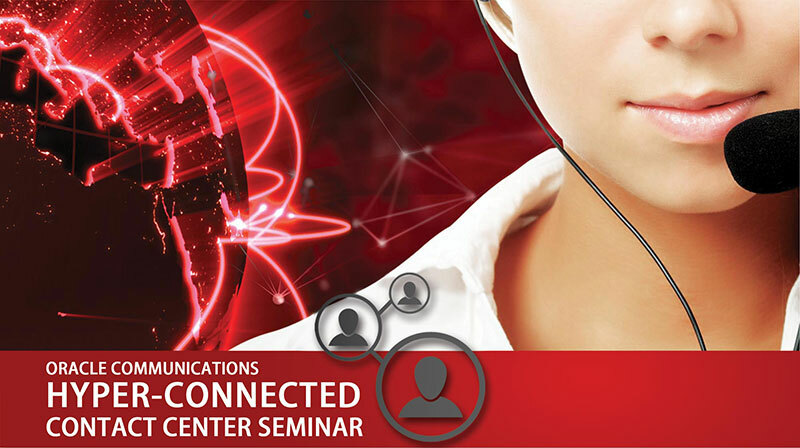 This thought provoking seminar designed to provide strategic insights and practical guidance for your contact centre communications strategy. The enterprise must be prepared to adapt and respond to today’s customers demands and ever changing business model. Are you ready? Are you using SIP trunks to reduce costs and improve business agility? What are the opportunities and benefits of deploying SIP trunking? What is WebRTC (Web Real-Time Communications)? How can you enhance customer interactions and unleash business innovation with this game changing technology? Meet industry leaders and share your ideas and challenges at this seminar. You will learn about new solutions and see demonstrations to help your organization navigate technology disruption. We look forward to meeting you! Chief Technology Officers, Chief Operations Officers, IT Directors, IT/Networking/Infrastructure/Telecommunications Managers who are responsible for the telecommunications like VoIP, UC infrastructure or Contact Centre infrastructure. and Communications Network Architects, IT Security/Compliance Officers/Engineers, Communications Operations Engineers, Voice Network Planners/Designers. *Agenda is subject to change without prior notice.